Hours: Open 7 days a week, 365 days a year. 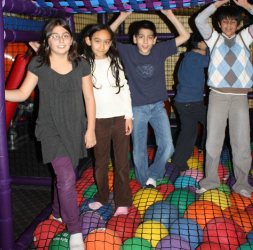 At Party Zone in Queens, we specialize in private personalized birthday parties and are committed to making each birthday party a memorable one. Celebrations are all about the experience of the day, enjoying the company of family and friends, and participating in exciting activities. 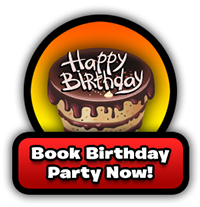 Your birthday party experience is our top priority and the possibilities are endless! What are some of your child’s very favorite things? Whether its pirates or princesses, Spiderman or Batgirl, Wizards of Waverly, Angry Birds or iCarley, or even something straight from their own imagination; our professional staff will help design a private birthday party just for them! Turn the lights on in the disco and let’s dance and sing! How about a Victorious or Justin Bieber Party? Bouncing! Climbing! Arcades! Jungle Gym! Click to view our Party Themes. 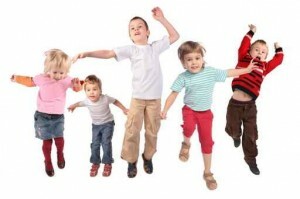 Party Zone offers a full range of party experiences that your child, and their friends, will never forget!